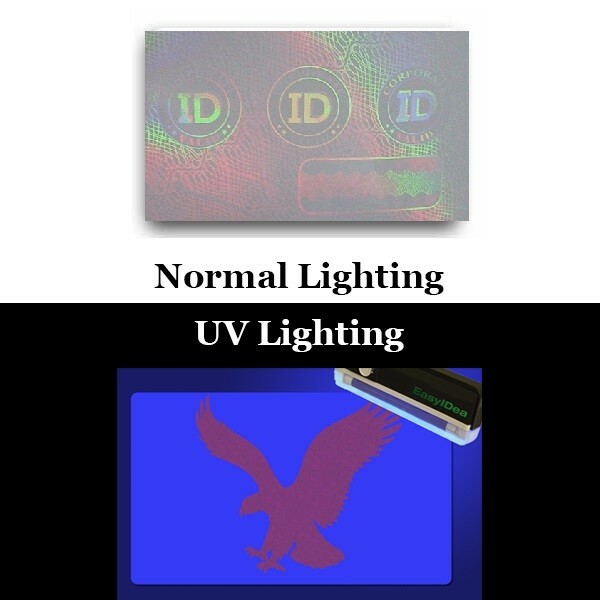 This holographic UV overlay has a "Corporate ID" style hologram with an eagle which only appears under a UV light bulb. The hologram designs do not obstruct from the card itself when looking straight on but can easily be seen when viewing from an angle. This microfilm specialty overlay is applied like a sticker which permanently holds to the badge through any conditions.